NYON, Switzerland (AP) — In a rematch of last season's Champions League final, title holder Real Madrid was paired with Juventus in the quarterfinals draw on Friday. Madrid will travel to Turin for the first leg on April 3 against the Italian champion it beat 4-1 in the 2017 final at Cardiff. Liverpool was drawn to host Manchester City first on April 4 in an all-English clash. After all five English clubs advanced from the group stage to the round of 16, only one will now be in the semifinals. "It's always common in a draw that you'll get your neighbor, more or less, but to be honest I don't mind," Liverpool coach Juergen Klopp said in comments to the club's website. Also Friday, five-time champions Barcelona and Bayern Munich were paired with teams who have never won the tournament. 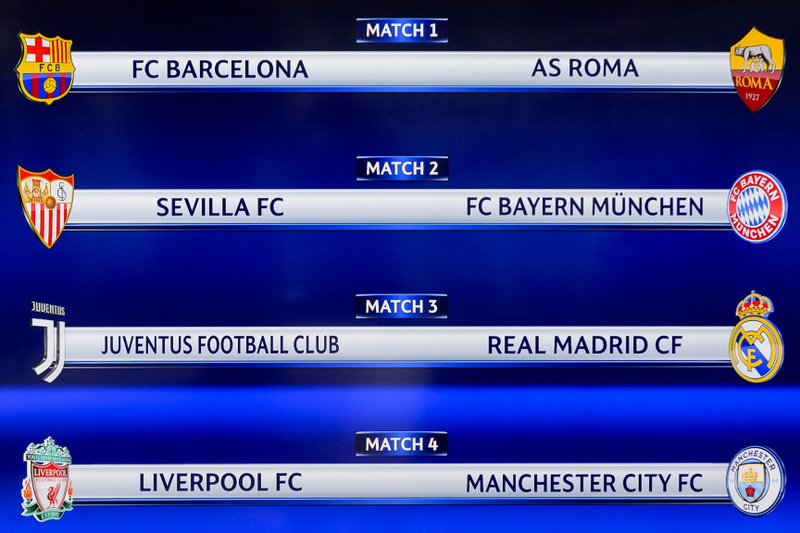 Barcelona is at home first against Roma on April 4, and Bayern faces Sevilla in the first leg in Spain on April 3. All return games are played the following week. Madrid will likely start favorite against Juventus in pursuit of a record-extending 13th European title and a first hat trick since Bayern won its third title in a row in 1976. Cristiano Ronaldo's 12 goals in the competition this season is more than the entire Juventus team, which has scored just 11 times in eight games. Still, Juventus did in the round of 16 what Madrid could not do in the group stage — beat Tottenham. It advanced with an impressive 2-1 second-leg win at Wembley Stadium. "It says a lot about the winning mentality (of Juventus), and their personality and experience to play these kind of matches," Madrid director Emilio Butragueno said. The draw set up both English clubs for an intense week, with city derbies in the Premier League sandwiched between the quarterfinal games. On the Saturday between the two legs against five-time champion Liverpool, City hosts rival Manchester United and could seal the league title that day. On the Sunday, Liverpool plays at Everton barely 48 hours before the second-leg game in Manchester. Man City travels for the first leg to Anfield where it has won only once in its last 30 visits. Pep Guardiola's team lost 4-3 at Liverpool two months ago for its only league loss this season, though it won 5-0 at home in September. Barcelona will be expected to advance from its 11th straight appearance in the quarterfinals, with Lionel Messi in attack and the competition's best defensive record of just two goals conceded. The final is on May 26 at the Olympic Stadium in Kiev, Ukraine. Each finalist will receive 17,000 tickets for its fans with the stadium capacity set at 63,000 for the showpiece game, UEFA said Friday. A further 6,700 tickets went on sale Friday to fans worldwide, priced from 70 euros ($86) to 450 euros ($550). 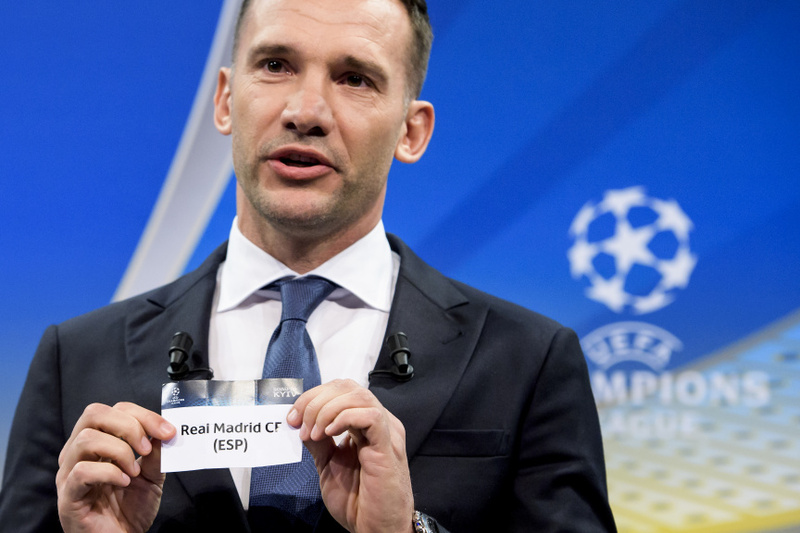 The Europa League quarterfinals draw was also made Friday, and set up a politically charged game between English and Russian clubs. Arsenal was paired with CSKA Moscow, two days after the British government said it would not send officials to the World Cup in Russia to protest the poisoning of a Russian former spy in England this month. In other pairings, it was: Atletico Madrid vs. Sporting Lisbon; Leipzig vs. Marseille; and Lazio vs. Salzburg. First-leg games are April 5, and return games on April 12. The final is May 16 in Lyon, France.